There are so many types of abusive words which are used by people to express their angry reactions. People use different types of vulgar signs. People who are deaf also use this signs and express their feelings. 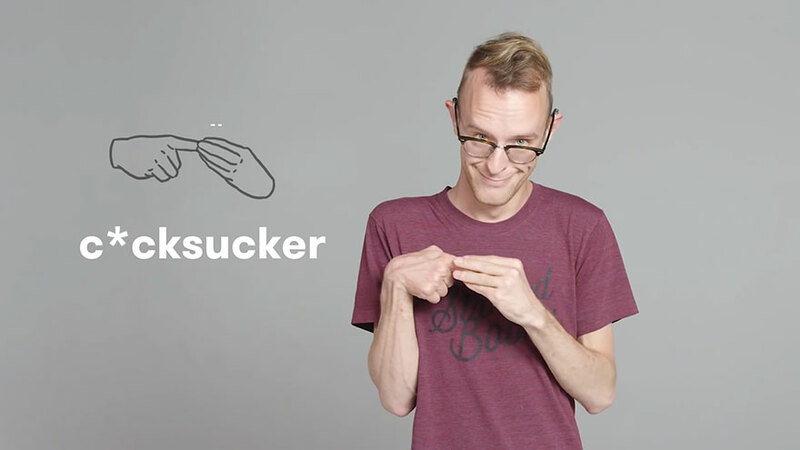 Here Deaf people show you how to express your favorite sign and teach you dirty words which makes you laugh. The presentation or the way a deaf person is unique and they use signs to express alphabet words or a full sentence, very clearly they show signs which are easily understood by normal people. The youtube channel CUT helps us by presents a video in which there are 7 deaf people show how to swear in sign language. 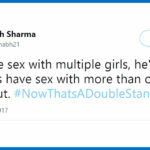 They teach how to define a dirty word very easily to anyone. We know that you can use this symbols when you watch this video but sure that no deaf person is not in that room. You can find out the video on the last of images. See the images and video and try to use signs. 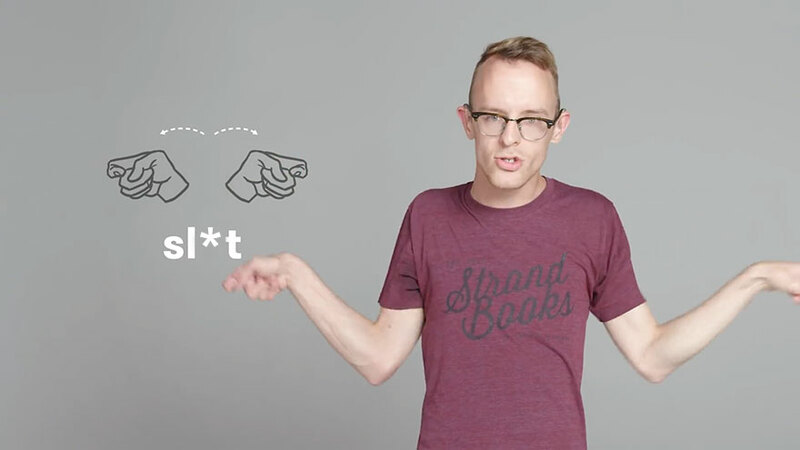 Here Readers Cave presents deaf people show how to swear in sign language.